When you think of Toyota, the term off-road is sure to pop up. A core component of the brand’s identity in Mzansi is its record of producing 4×4 SUVs that can take you further from civilisation than anything else. With this in mind, when Toyota’s plans to manufacture another off-road wagon were made public my initial response was a simple, why? For a make that already has the very successful duo of the Prado and LandCruiser 200 in its fleet, was it necessary to provide something else? At the time of the Fortuner’s release, Toyota pointed out this new model was here to provide an affordable option for people aspiring to own a LandCruiser. A most sensible justification, when looking objectively. Built on the underpinnings of the very successful HiLux, currently South Africa’s second best-selling bakkie, the Fortuner is the off-road model that looks to fill a gap in Toyota’s range and offer a slightly different solution to the lifestyle vehicle question. Depending on individual circumstances, the Fortuner can bring a different sort of practicality and improved comfort without compromising off-road ability. Toyota has provided us with a 2017 Fortuner 2.8 GD-6 4×4 6AT , this is the top-of-the-line variant in the three-model Fortuner range. It has a list price of R 633,500 plus on-roads. 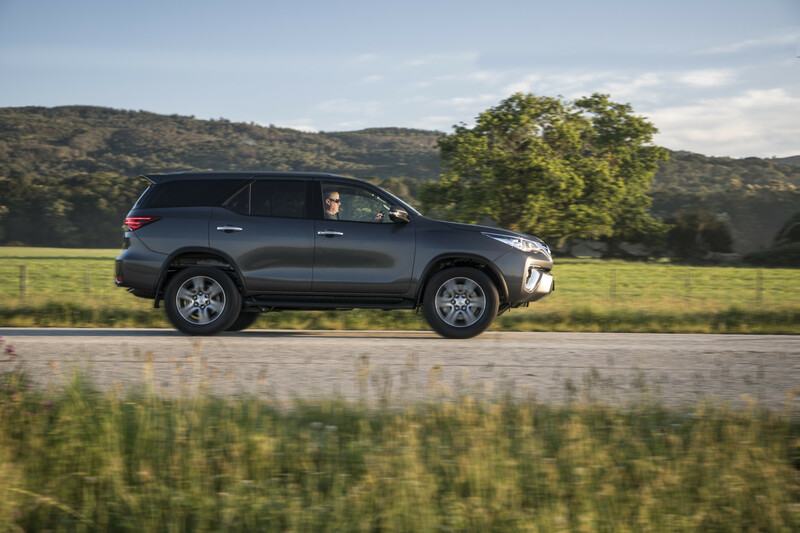 Cutting to the chase, the Fortuner is effectively a ute with a boot, a HiLux with the ability to store things in the cabin and carry additional passengers when required. For those who don’t regularly have the need to carry large items that require a tray, the Fortuner is a much better day to day proposition. This is where the Fortuner differentiates itself from the HiLux. The Fortuner offers a practical option for those that want a combination of comfort for the week and off-road ability for the weekend. Using a HiLux as a daily driver can at times be challenging. Without a canopy, simple daily tasks like the school run can be difficult. The cabin can make occupants claustrophobic when school bags and laptop cases litter the interior. This isn’t an issue in the Fortuner, there’s plenty of room, it has a cargo capacity that ranges from 200 to 1080 litres depending on how the seats are deployed. Speaking of seats, the Fortuner holds a strong hand as it can seat seven. The packaging of the third-row seating is rather clumsy and doesn’t fit with the overall interior styling. When the back seats are restrained, they can rattle on bumpy roads and trails. A better solution could be devised to combat this. The overall interior presentation is impressive, fit and finish is exactly what you would expect from Toyota. The interior surface choices are also on the money with soft-touch materials covering the majority of areas passengers will touch. Thankfully, matte surfaces have also been utilised on the centre stack, in this case, it’s a woodgrain look. The comfortable seats, covered in dark brown coloured leather gives the cabin an upmarket ambience, not often found in cars of this type. There are some other luxuries such as climate-control air conditioning, satellite navigation, powered tailgate and electric adjustment for the driver’s seat. Another clever addition is the rear vents, a nice touch that lifts the comfort level for those in the back. Toyota’s infotainment system is growing on us, it’s easy to pair phones and stream audio. The 7-inch touch screen is clear and its menus are well set out. As an urban transporter, the Fortuner does a good job. The all-coil suspension, which was locally tuned, strikes the right balance and offers a comfortable ride on city roads. It’s an SUV that doesn’t feel heavy, Toyota has done a good job to disguise the Fortuner’s weight and size. After driving the Fortuner around town for a few days, it’s easy to forget this is a genuine off-roader, this is a fact that becomes clearer away from smooth city roads. On poorly surfaced country lanes, the Fortuner can bounce a little. When driving the Fortuner out of town, the link to the HiLux is obvious. It drives like a HiLux, though this shouldn’t be considered a bad thing. There’s plenty of power with prompt torque delivery to get you moving. The 2.8-litre turbo-diesel engine produces 130kW of power and 450Nm of torque. Putting the power down is Toyota’s latest six-speed automatic transmission. Paddle shifters are included but their presence is completely unnecessary. As a vehicle with significant credentials to explore beyond the blacktop, we took the Fortuner to Waranga Basin in Victoria’s north to see what the Fortuner could muster. Using the selectable low and high-range 4WD, plus the rear differential lock, the Fortuner could easily handle the terrain. It brings the very same surefootedness as the latest HiLux when exposed to similar driving conditions. When presented with poor surface conditions, active traction control will intervene to prevent the wheels from spinning. The system will also distribute torque to the wheels that have the most traction. We also sampled the Fortuner’s downhill assist control, on steep descents, it seemed overly cautious, however, it’s always better to be safe than sorry. The Fortuner can also tow, with an automatic transmission it’s rated to pull 2,800kg. This is more than enough to tow a large caravan or trailer. The Fortuner delivers the rugged go anywhere feel that is generally owned by Toyota’s LandCruiser models. Plenty of time, effort and expense have gone into ensuring the Fortuner was capable of conquering the best and worst of what potential owners would throw at it. Toyota state the Fortuner represents the largest single model development ever undertaken by the brand’s local technical centre. Along with the suspension set up, Australian based engineers also undertook development responsibilities relating to chassis calibration, handling, and underbody protection. This gives the Fortuner a significant local flavour. An aspect of the Fortuner that has been somewhat underrated is the exterior design. It’s a great looking car and our favourite Toyota exterior aside from the C-HR. The brilliant Chestnut Brown paint on our test car worked very well with the floating roof design and the touches of chrome that surround the windows. The exterior of the Fortuner gets LED headlamps and daytime running lamps, fog lamps, side steps, privacy glass and alloy wheels. The Fortuner comes equipped with seven airbags, Anti-Lock Brakes, brake assist, electronic brake distribution, vehicle stability control, ISOFIX points and a high-quality rear-view camera that provides a very clear image. This is in addition to Toyota’s use of high strength materials in the Fortuner’s body that improves occupant protection. 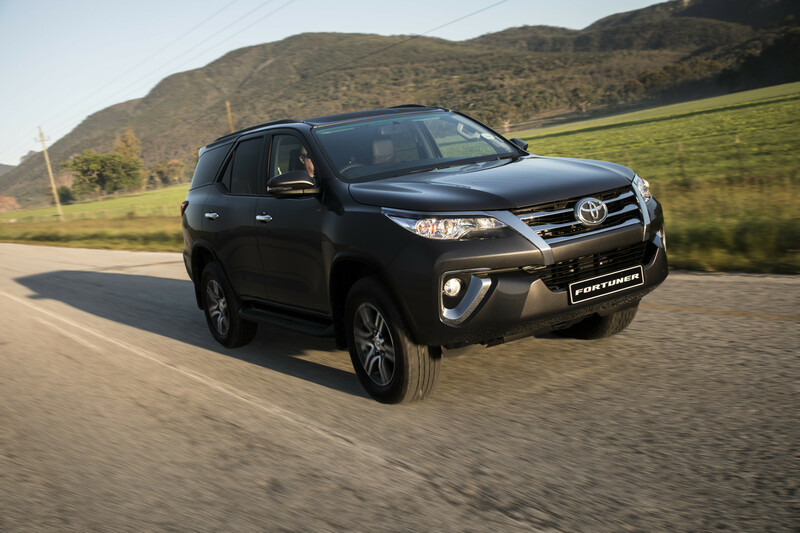 The Fortuner has achieved the ANCAP 5-star safety rating, yet for a model looking to find a home with family buyers, it doesn’t come with Toyota’s latest safety technology. The brand’s pre-collision safety system isn’t available on the Fortuner Crusade, despite it being the top spec model. It’s also conspicuously absent from the options list. This is a disappointing move that is further compounded by the fact this tech is available as part of the Toyota Safety Sense package on cars significantly more affordable than what we are reviewing here. After covering almost 1000km in the Fortuner, we returned a consumption figure of 9.2L/100km. A very good return for a vehicle of this size and close to the official combined figure of 8.6litres/100km. 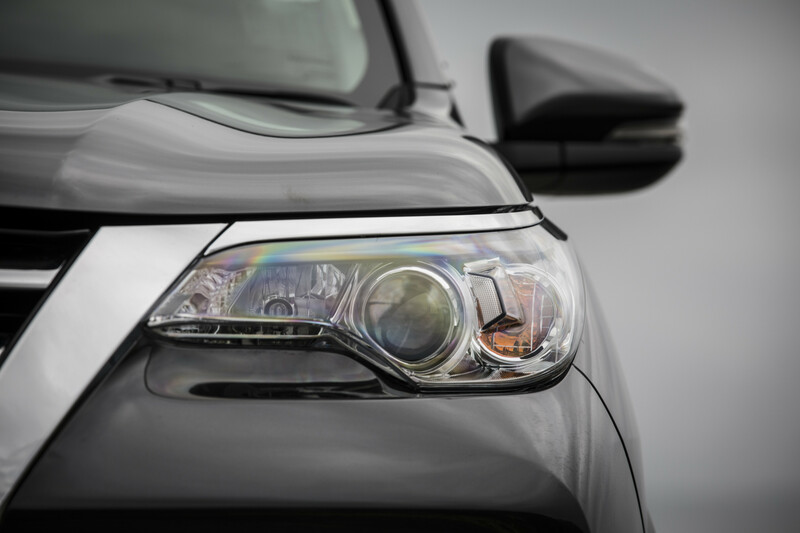 The Fortuner requires servicing every 6-months or 10,000km. We maintain this isn’t necessary for a model from Toyota. As always, Toyota offers very competitive service pricing as part of the Toyota Service Advantage that goes some way to reducing the impact of the short maintenance intervals. The first six services are only $240 each. We hope to see the maintenance schedule of Toyota’s fleet eventually match that of the C-HR. Lifestyle vehicles are about versatility and practicality, two things the Fortuner has in spades. It’s well worth a test drive and serious consideration before going straight for the default choice. The Fortuner does fulfil its brief and plugs a small gap in Toyota’s SUV range. With the dual-cab ute currently dominating the lifestyle vehicle space, it’s easy to forget models like the Fortuner offer even greater practicality in many areas. For transportation during the week, this ute with a boot, offers a more compliant ride and a nicer interior. It also offers better passenger comfort and cabin storage than its ute sibling, while maintaining Toyota’s off-road prowess.